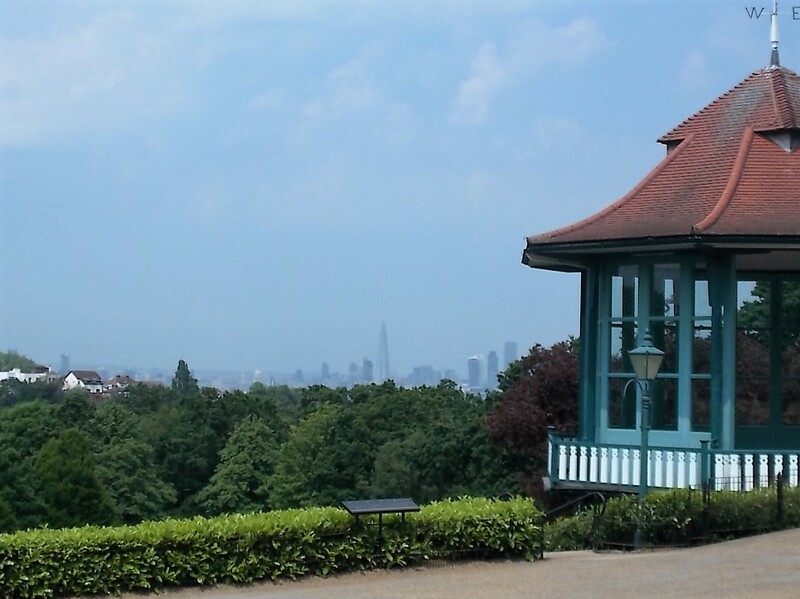 Briefer than Literal Statement: The View From the Shard/A View of the Shard. The View From the Shard/A View of the Shard. I finally got up the Shard a week or two ago, and then posted about something else but anyway, this is the best photo I took - it's not perfect, because it's through glass, but look how tiny everything is, like castles built of wooden blocks and airfix battleships. 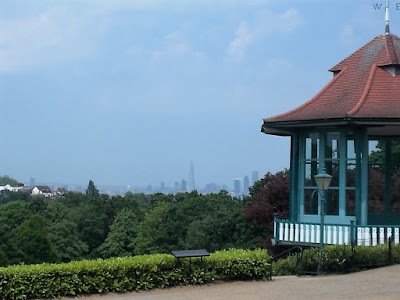 This weekend we walked from Crystal Palace to Nunhead - about 7 miles - along the Green Chain walk, through Horniman Gardens, which has a really nice but very busy cafe, and this view below. 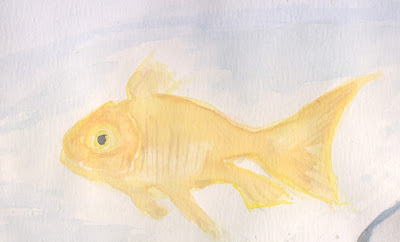 And then went up One Tree Hill, but that picture didn't come out as well so have a watercolour of a goldfish instead. (In case you're wondering the bottom right hand corner had an angel fish in it, and there was a guppy too, but I wasn't pleased with them so I chopped them out.) I've been painting a lot of watercolours as part of the Cass Art Make A Splash challenge and if you want to see all my attempts they're on my twitter feed. Some are better than others and some are distinctly worse, but it motivated me to practice, which is always good.